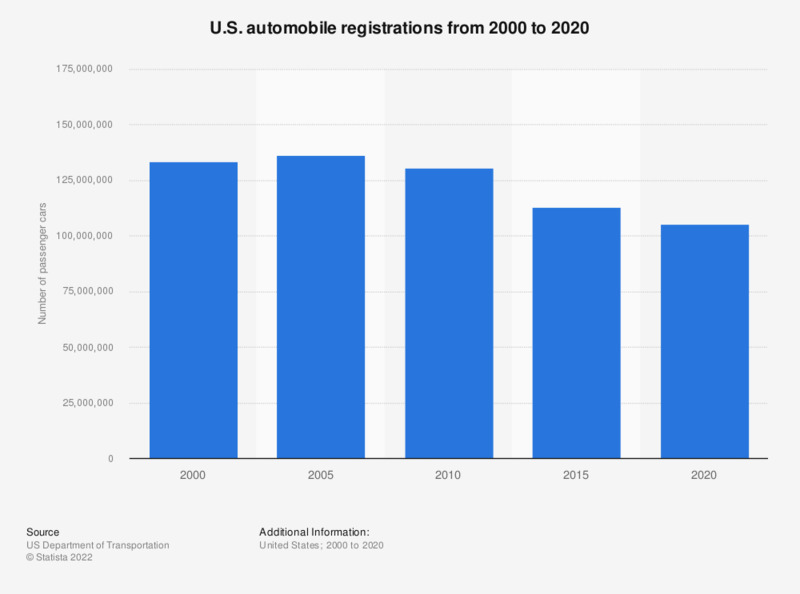 This statistic represents the number of registered automobiles in the United States from 2000 through 2016. In 2016, there were almost 113 million automobiles registered in the United States. In 2016, a total of around 269 million motor vehicles were registered in the U.S. The figures for 2000 through 2015 are taken from previous editions.